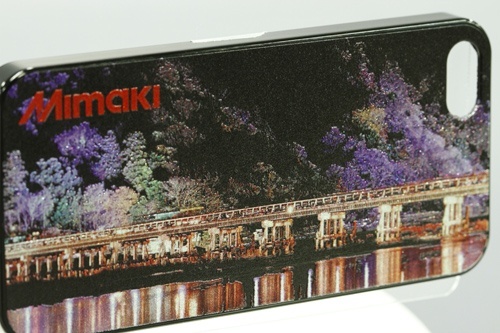 Digital MAKIE on Smartrphone case | Smartphone Case | Application | MIMAKI SINGAPORE PTE. LTD.
Two different image data are needed for the digital MAKIE. * On this tutorial, photo data is used. Therefore, Photoshop is used for editing the data. If only vector data such as color logo is used, Illustrator is used for data creation or editing. When creating the data by Illustrator, assign the black to areas to be applied glitters or foils. 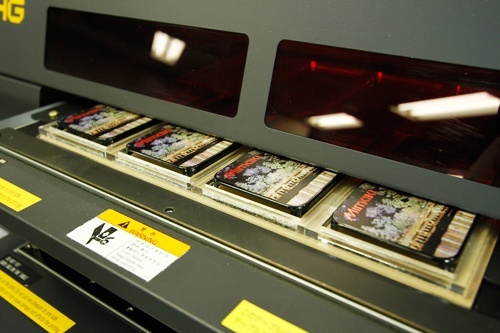 The white ink is printed first to contrast with black base color, and then the primer is printed. No special tool is required. Gold, silver, pearl and various glitters are sold in the market. 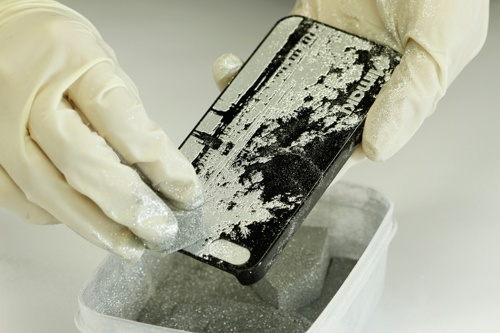 Take up glitters onto a sponge and apply it on the case. 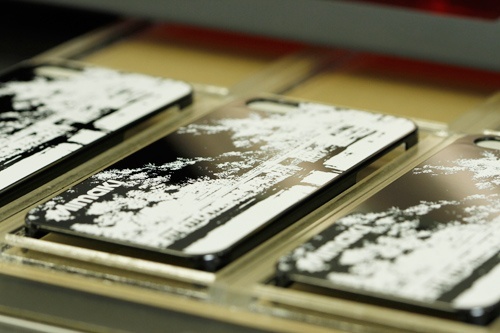 If the glitters are not applied well, push the sponge on the case. To prevent fine-grain glitter adhesion on furnitures or clothes, please secure an adequate work space and wear protective gloves and clothes. 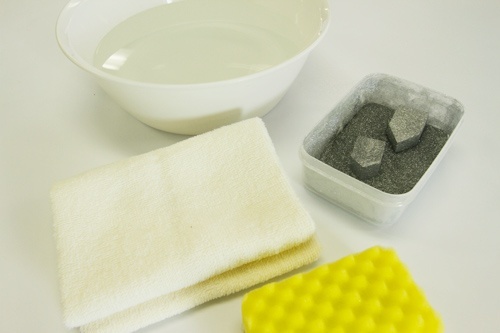 Wash the case in the basin after applying sufficient amount of glitters. 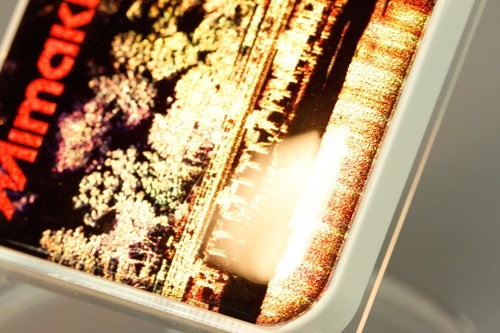 Color printing over the glittered case. 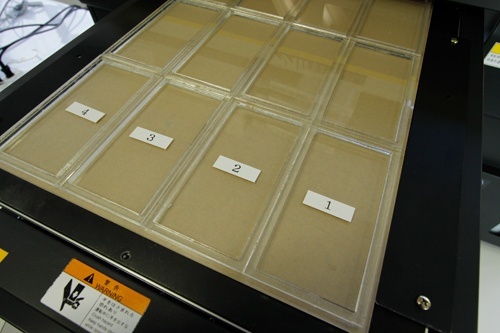 After glittering, place the case on the jig and start color printing. 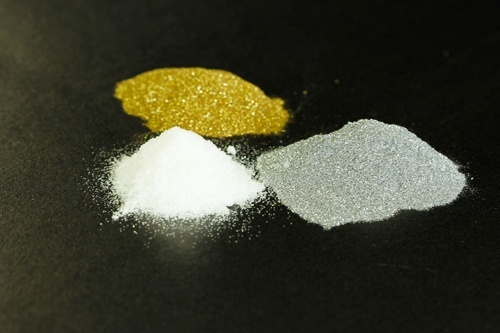 Printed colors on glitters are changed to metallic colors.